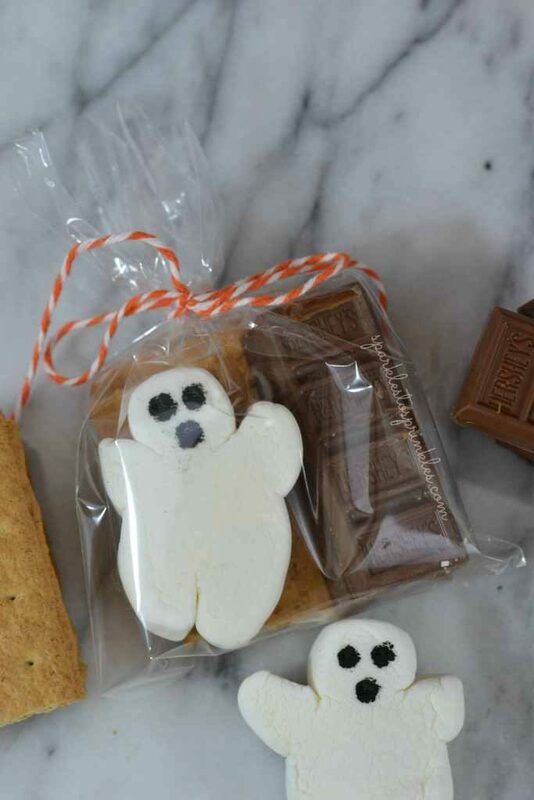 These Halloween Treats are just the cutest to make your little ones smile bright. Halloween is one of my favorite holidays of the year. I absolutely love watching the children and their pure joy. 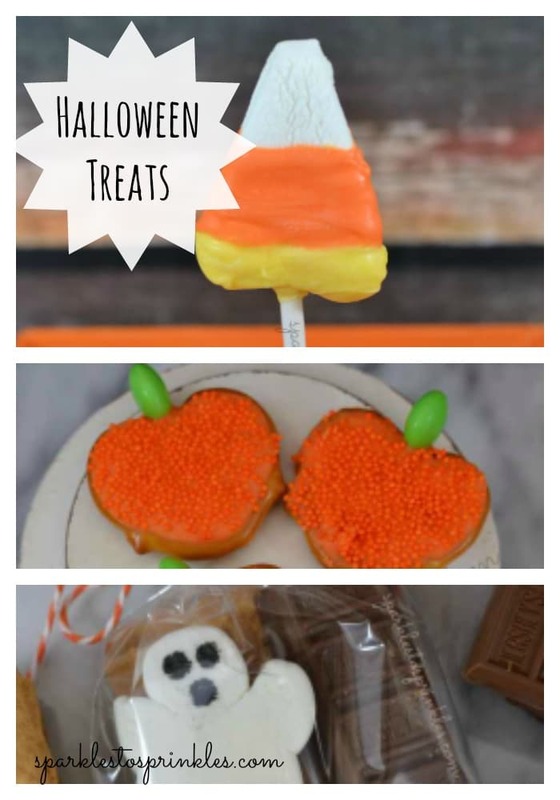 All three of these treats are not only adorable, they are great treats to make with your little ones. That is half of the fun and the other half is eating them. These Candy Corn Marshmallows are making me smile a lot. They came out so cute and were very easy to make. My kids also fell in love the minute they saw them. Not to mention how delicious they taste. 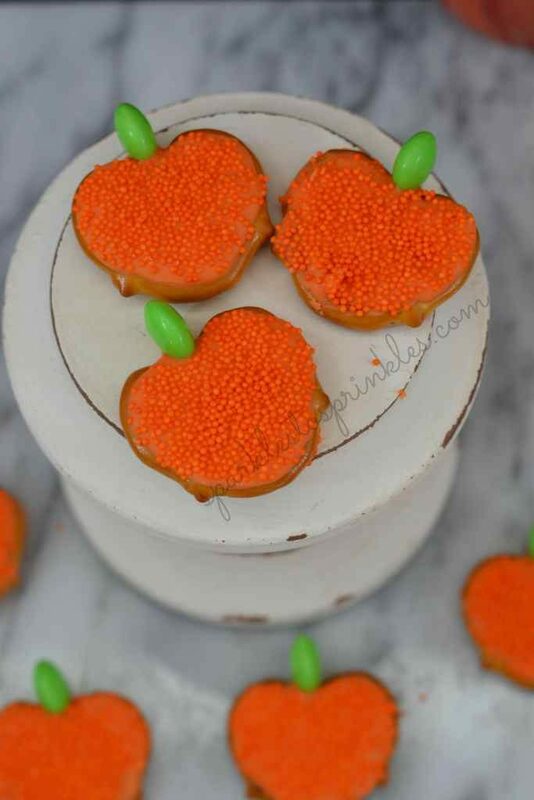 These pumpkin pretzels do not disappoint. 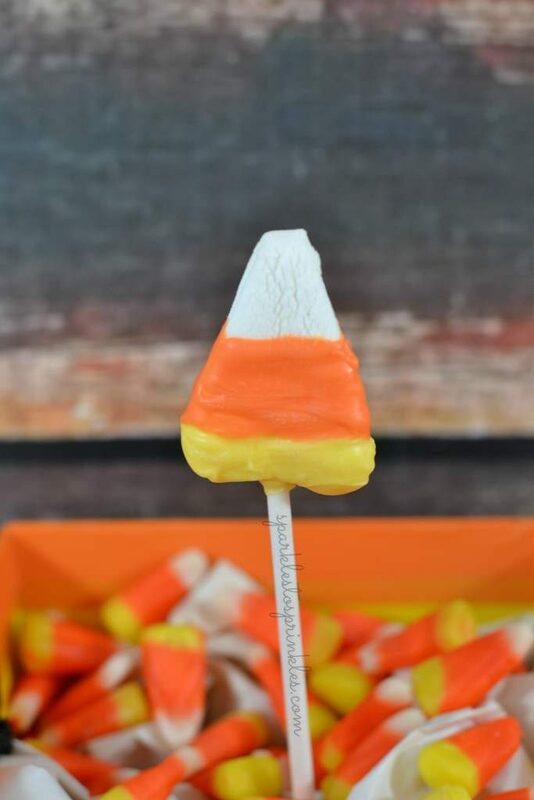 They are every bit of delicious as you would expect from sweet chocolate on top of a nice salty pretzel, topped off with a yummy M & M.
These Halloween S’mores are just the cutest treat. Perfect for a school party! I love that these were so easy to make. Make sure you print out your own Halloween Safety Tips to keep your little ones extra safe.